Penn Manor High School students will begin getting their computers under the 1:1 Student Laptop Program on Monday, January 27. 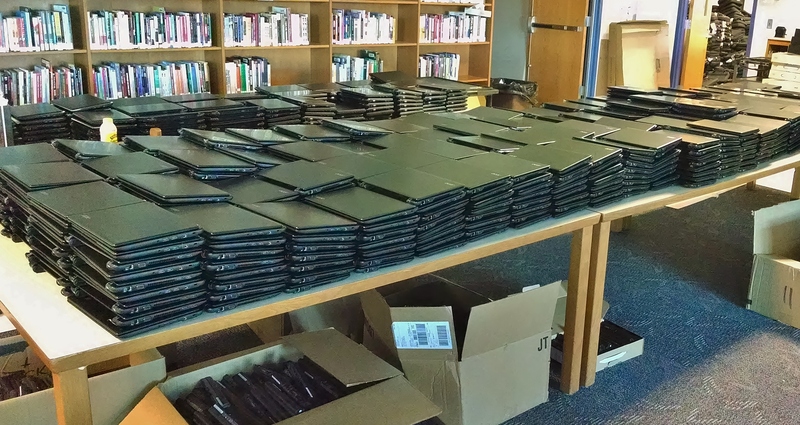 Seniors are scheduled to receive their custom-designed Acer laptops, carrying cases, chargers and mice Monday. Juniors will get their computers and peripherals Tuesday, sophomores on Wednesday and freshmen on Thursday. A total of 1,725 laptops will be distributed under the program, which will make powerful computing technology available to all students to enhance learning in all subjects. The laptops will be used in school and at home, and students will be responsible for any damages. The devices are equipped with filters to block images and materials harmful to minors. The laptop rollout is believed to be the largest of its kind in Pennsylvania involving computers equipped with open-source software. Penn Manor School District expects to save about $345,000 on licensing fees by using the free software. Additional details on the distribution will be announced in the coming days.